I have been meaning for aaages to try baking with spelt flour, it is low in gluten, high in protein and supposedly very good for you, but I had trouble finding any where I live. I managed to get some whilst visiting my parents ( Waitrose sell all the interesting things…) and decided that my first foray into baking with spelt should be bread. 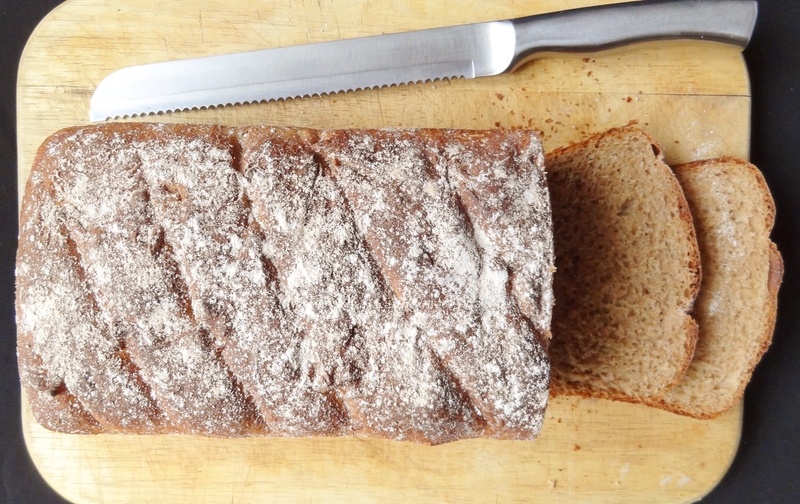 I made a basic loaf of bread but added honey for a bit of sweetness and flavour, all of the ingredients in this loaf are ones that would have been used in ancient times, I quite like the thought of eating something that people would have been eating thousands of years ago….